By the time you read this blog, the price of the petrol would have gone up by more than Rs. 7.50 a liter across the country- sharpest hike ever. What�s wrong with government? India is already trying to recover breathe from the ongoing currency depreciation and the recent petrol hike is enough to make one go crazy. The increase came a day after Parliament�s budget session ended and PM Manmohan Singh talked about the need for �Difficult Decisions�. I am grateful to the honorable prime minister for speaking the truth finally. Certainly, it is a difficult decision when you�ve complete 3 years and proved as a �Dummy� nothing else. We cannot expect such moves from a knowledgeable economist. This is the first upward revision in petrol prices since November 4, 2011. The highest increase till now has been Rs. 5 per liter. The recent petrol price decision immediately drew howls of protest and demands for rollback from different political parties, including UPA allies Trinamool Congress chief-Mamta Banerjee. Hold on for a while if you�re expecting something good out of it because the west Bengal chief minister also made it clear that she would not rock the UPA boat. By going for the sharpest ever hike in petrol prices; the government seems to test the patience of the middle class, already frustrated with the falling value of rupee. 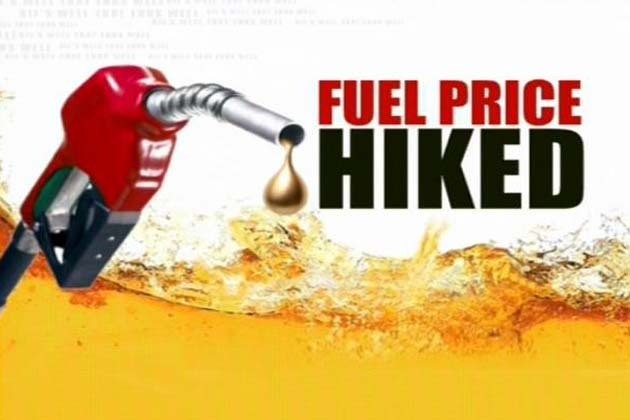 The Next political challenge, elections in BJP-ruled Gujarat and Himachal, are going to be held in November and Congress is expecting the angst will die down by then and the middle-class will get used to and normal with the �new petrol price�. Anything else you need to burn the blood from such �brain-farted� situation. Om Banna: Where Votive Offerings Are Made to A Miraculous Motorcycle.. In 2008-2009, UPA Government reduced petrol prices from Rs. 50.62 P/Lit. to Rs. 40.62 P/Lit. just 2 months before the General Elections of 2009 to come into power again. Now when the next General Elections are 2 years away, they have increased petrol prices from Rs.68.76 P/Lit. to Rs. 76.26 P/Lit. Later, they will again roll back the petrol price by 6-7 Rs. and say that we have done something for ‘Aam Aadmi’ – The Common Man of India. This is how these political parties fool us and we have no option other than making a choice between NDA and UPA. Don�t know long it will continue? the discussion. It’s caused by the passion displayed in the article I looked at. And after this article Congress Gambles with Middle-Class Patience- the Sharpest Petrol Price Hike & Rupee Depreciation | Our Society. I was excited enough to drop a thought I do have 2 questions for you if you tend not to mind. Could it be simply me or do some of these responses look like written by brain dead visitors? 😛 And, if you are writing on additional sites, I would like to follow you. Would you make a list every one of your public pages like your Facebook page, twitter feed, or linkedin profile?